Gallstones are the silent killer that are behind many diseases including cancer. Discover how to use The Liver And Gallbladder Cleanse to remove gallstones without pain. Find out if you have gallstones and how to avoid it in the future. Regain your health from cancer without any side effects. Gallstones are soft or hard stones that only form in gall. They consist of cholesterol, salt, or bilirubin. They range in size. Some can be as small as a grain of sand or as large as an apricot. 80 percent of gallstones are cholesterol. The other 20 percent of gallstones consist of calcium salts and bilirubin. Gallstones may even contain bile salts, water, mucus, toxins, bacteria, and sometimes, dead parasites. Calcified gallstones in the gallbladder are for the most part made of calcified bilirubin. They can be light brown or black or other colors. Brown stones contain more cholesterol and calcium than black stones. Gallstones form in both the liver’s bile ducts and the gallbladder. Stones in the liver are rare. Most gallstones start in the liver, and few occur in the gallbladder. About 20% of the world’s population will develop gallstones in their gallbladder. Patients with cancer and other chronic illnesses have the most stones in their liver. These stones are one of the principal reasons of disease. 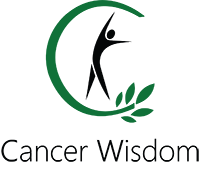 Moreover, why many have difficulty healing from diseases like cancer. Our bad eating- and sleeping habits make the food toxic. Your body have to enclose the poisons in cholesterol and store it in the liver duct for safe keeping. If it didn’t do that, then these toxins would cause bigger problems. While these stones protect you from a big disaster, they also obstruct the liver. At one point it will affect the health of the body and cause significant disease. In some cases, a stone may irritate or inflame the gallbladder wall. Resulting in painful spasms, infection, and other complications. Removing the gallstones from your body is one of the best things you can do for your health. The best way to stop these toxic stones from continue forming is to change your bad habits. Before you can learn the causes of these stones, you need to grasp how the liver works. The liver is the biggest organ in the body. It weighs between 3.17 pounds(1.44kg) and 3.6 pounds(1.66 kg). It's the only organ that can regenerate to its original size so long as 25% of the tissue remains. In humans, the process takes incredible 8-15 days, and there is no loss in function during that period. The liver serves hundreds of different roles that is vital for the health of the body. One of the liver’s primary functions is to produce bile, about 1 to 1.5 quarts (0.95 - 1.4 liters) per day. Liver bile is a gooey, yellow, brown, or green fluid with a pH of 9.5 and is bitter in taste. The food must first combine with bile. Without enough bile, the small intestine can't digest fat and calcium from the meal. When fat is not absorbed, calcium is not digested either, leaving a deficit in the blood. The blood then takes its extra calcium from the bones. Poor bile secretion leaves food undigested and subjects them to bacteria. Persistent abdominal gas, discomfort, and bloating are the first indications of a compromised liver. Besides breaking down the fats in your food, bile also removes toxins from the liver. Every cell depends on how well it can get rid of these toxins. Another useful function of the liver is to store vitamins A, D, E, K, and B12. Iron and copper are other minerals the liver stock and releases when needed. Gallstones are a dangerous threat to all these vital tasks of the liver. They reduce the amount of bile that the liver can produce. Thus, it becomes harder to digest food. Much of the undigested food begins to ferment and putrefy and put the toxic waste matter in the blood and lymph. The liver has many functions of the body and having a clean liver is crucial to good health. Let’s explore how the gallbladder and the liver work together to maintain a healthy body. The gallbladder is a small sac located on the right-hand side of the body, on the underside of the liver. A normal, healthy gallbladder holds about two fluid oz (60 ml) of bile. In adults, the gallbladder measures about 3.1 in (8 cm) in length and 1.6 in (4 cm) when enlarged. The walls are flexible and allow the gallbladder to balloon out. Its principal function is to store bile from the liver. Your body requires fats to help digest and make use of proteins and carbohydrates. The liver stores bile in the gallbladder and releases it when needed. Gall goes into the small intestine via the bile ducts to help the digestion of fats. The bile stored in the gallbladder has a different consistency than the bile found in the liver. In the gallbladder, most of the salt and water get reabsorbed. It can, therefore, reduce its volume to a mere tenth of its original size. The gallbladder also adds mucus to the bile. Its high concentration makes bile a powerful digestive aid. You can survive without a gallbladder. The liver produces enough bile to digest a regular diet. If a person removes the gallbladder, then the bile reaches the small intestine from the liver. The bile uses the hepatic ducts from the liver rather than the reserves in the gallbladder. Without a gallbladder, the stool can become softer and more frequent. So now you know how the liver and gallbladder work together. Let’s find out how gallstones form in the gallbladder and liver and how to stop this process. There are many different reasons why gallstones form in the body. The most common causes are the bad eating habits. These include eating at irregular times, later than 7 pm, and digesting processed foods. As I mentioned in my post on v﻿egetarian food, your body is not capable of digesting animal products. Animal products include meat, milk, eggs, fish and so forth. These kinds of foods are hard to absorb and become toxic. Your body then make gallstones to protect itself. So how do you know if you have gallstones? Continue to read, and I explain it right away. If you are a human living in the modern world, there is a big chance that you have gallstones. Especially if you have cancer. One question that might pop up is "How can you release these stones?". There are conventional and natural ways to get rid of gallstones. I'll start by explaining how western medicine treats gallstones. This section is a critical read that can save you from pain. Surgery is the most common way for conventional medicine to remove gallstones. One standard operation is to remove the gallbladder. This process is pretty rare. The surgeon will usually make three or four incisions on your abdomen. They then insert a small, device into one of the incisions and remove your gallbladder. Conventional medicine removes the gall bladder if it causes too many problems. Another method way is to use high-frequency sound waves to fragment the stones. Bile salt is then used to dissolve smaller pieces. A method called contact dissolution can also dissolve gallstones. First, the doctor inserts a catheter through the abdomen. Then he injects a drug into the gallbladder. Often, the stone disappears within a few hours. While these therapies may work for some, they are still ineffective long term. Recurrence is common. It's sad that these procedures are the primary methods for removing gallstones. The elimination of the gallbladder or others intrusive treatments is not necessary. There is a home cleanse that is cheap and easy to do. If you follow the instructions to the letter, then it won't lead to any complications. Pay attention. Now, I will reveal how to do The Liver And Gallbladder Cleanse. The Liver And Gallbladder Cleanse is a natural method of removing stones from the liver. For a week you eat a vegetarian diet and drink 1 liter(34 fl oz) of apple juice for six days. During the sixth day, you start fasting for 24 hours after lunch. In the evening of the sixth day, you make a solution of Epsom salt and water and drink it two times, one time at 6 pm and one 8 pm. At 09:45 pm you make a mixture of olive oil and grapefruit juice and drink it at 10 pm. After you drink the solution, you go to sleep, and the stones travel through the body during the night. The day after your drink the Epsom salt solution at six and eight in the morning. During the rest of the day and sometimes the following day the stones will come out. Prepare to go to the toilet several times. If you follow the instructions, the method will be pain-free. Still in doubt in if the process works? Let me show me the results from doing my liver cleanses. I show pictures, and I explain how I felt during the process. So let's dig into it! I started doing The Liver and Gallbladder Cleanse in July 2015. My friends talked about the cleanse many times, but I was too scared to try it out. I succumbed to my fears and decided to start doing it. My initial concern was that it would be painful and too complicated to follow. By now I have done it several times and can attest that it is easy to do. I had no severe issues. The minor problems I felt was weakness or nausea. During regular weekdays the only difference for me was drinking apple juice. I was already vegetarian so eating this diet wasn't hard for me. The most important day was Saturday. After 12 am on Saturday, I started my 24 hours fast. You do this to let the stones travel through the colon without obstruction. I also did a colon cleanse during the day to remove any food waste from my intestines. At 6 pm I mixed Epsom salt with water and drank my first 6 oz portion(177 ml). Epsom salt is bitter in taste. It reminds me of chewing on an aspirin pill. I felt a little nauseated by it. You use it to relax the colon and make the stones travel with ease. Fifteen minutes before going to bed I drank a grapefruit and oil mixture. Many of my friends don’t like this solution, but I enjoy it. So after I drank it, I had to lay still for 20 minutes in complete darkness, lying on my back. Resting on my back was hard for me because I’m used to sleeping on my stomach. My stomach felt relaxed during the night. I worried that the process didn't work because I didn’t feel any pain or discomfort. At six and eight am, I drank more of the Epsom salt solution. By now I was weak from the fasting. At 8:40 am I had my first big bowel movement. The first time you go to the toilet, the stones come with food residue and colored water. I had to go to the bathroom several times during the day. At 12 am I could finally eat again. This cleanse was much easier that I believed it was. I didn’t have any significant difficulties if you disregard some nausea or tiredness. My stones had different colors, ranging from light green to dark green and brown. Some of these stones were soft while others were hard and dense. My first cleanse didn't have any big gallstones, but I have gotten larger stones as I continued doing it. Here are some pictures of gallstones I released with this method. Let’s make a wrap, and then I explain how you can do the cleanse. The liver is the biggest organ in the body. It serves hundreds of different functions that is crucial for the body. One of the most important functions is to create bile for digestion. Your bad habits cause the body to form gallstones. Gallstones set in the gallbladder and bile duct of the liver. They consist of cholesterol, salt, or bilirubin. Gallstones obstruct the liver and gallbladder and may lead to major illnesses like cancer. I also described my journey with the liver cleanse and showed some pictures of the process. Okay, so if you want to get rid of your gallstones in a non-intrusive way then follow these steps. Download the free How To Do The Liver and Gallbladder Cleanse here and read through it. Avoid any animal products like meat, eggs, milk and so forth as they are hard for the liver to process. Eat a vegetarian diet that is easy for the liver to handle and do so for an entire week. For six days you also have to drink 1 liter(34 fl oz) of apple juice per day. Follow the instruction on the sixth day to the letter. If you don’t follow the directions you might have complications. On day seven follow the last instructions and prepare to go to the toilet a lot. Count the stones you got and eat light meals the following two to three days.